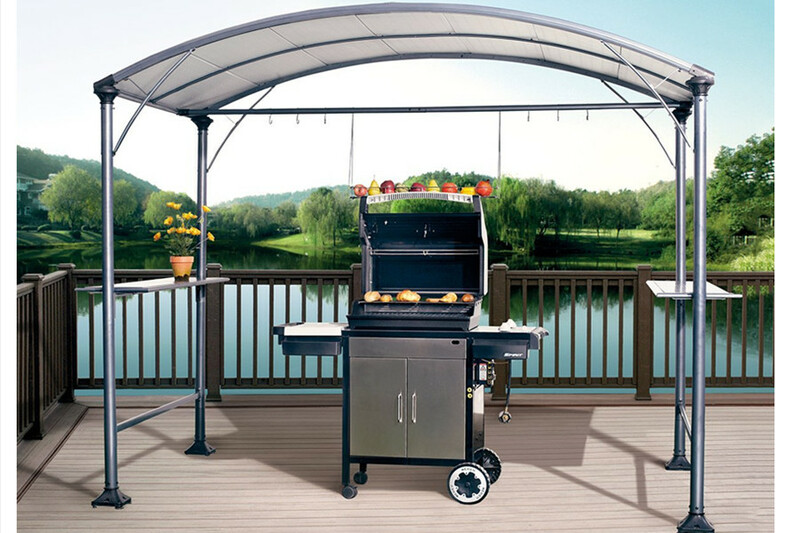 This grill gazebo is made of Steel with a steel canopy which is designed to endure and protect for seasons to come. This grill gazebo will help keep your grill looks great and keep you cool when grilling in the hot summer sun. Its 9 x 5 ft size provides a broader shade. This Grilling Gazebo turns your yard into perfect place for a barbeque. Don't be bound by the weather, Let's go out for grilling! Constructed using quality, powder coated steel this BBQ Gazebo will reward you with years of usage so you can be sure you are buying a quality product.